Along with our Gin and Rye Whiskey, this spirit was one that we knew we were going to keep in regular rotation long before we ever opened our doors. Our founders' home bars had a regular rotation of barreled gin from a few American distillers, but there was a limited selection because it is somewhat of a new category in the spirit world.Like the category of gin, barreled gin gives craft distillers the ability to play with flavors to create a really unique variation without waiting 2 to 4+ years. Barreled Gin will be a regularly available product but will vary from batch to batch. With all our experimental whiskey batches, we regularly have barrels that were used to age different types of whiskies. Like blending any spirit, it is not a linear process. You can't just take a spirit, stick it in a previously used barrel and assume it's going to turn out great. Each batch that we have developed includes blending different age gins from different barrels. We invite you to taste each batch and let us know what you think. Batch #1 is limited to 380 bottles. 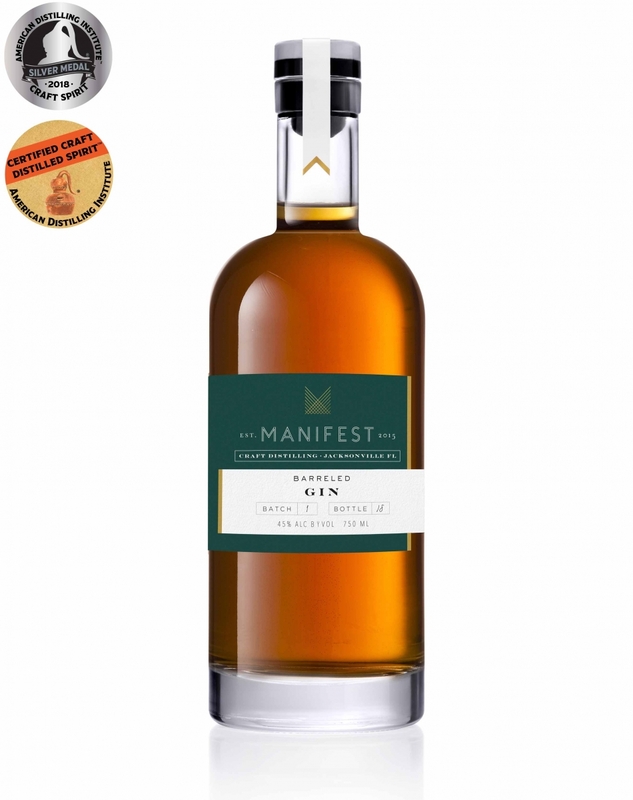 For the first batch of this product, we began with our organic Gin and aged it in Manifest Whiskey Product 10-year-old bourbon barrels for six months. Simultaneously we we aged 30 gallons in a new, unused and charred, American oak barrel for 30 days. We then fractionally blended the two spirits. 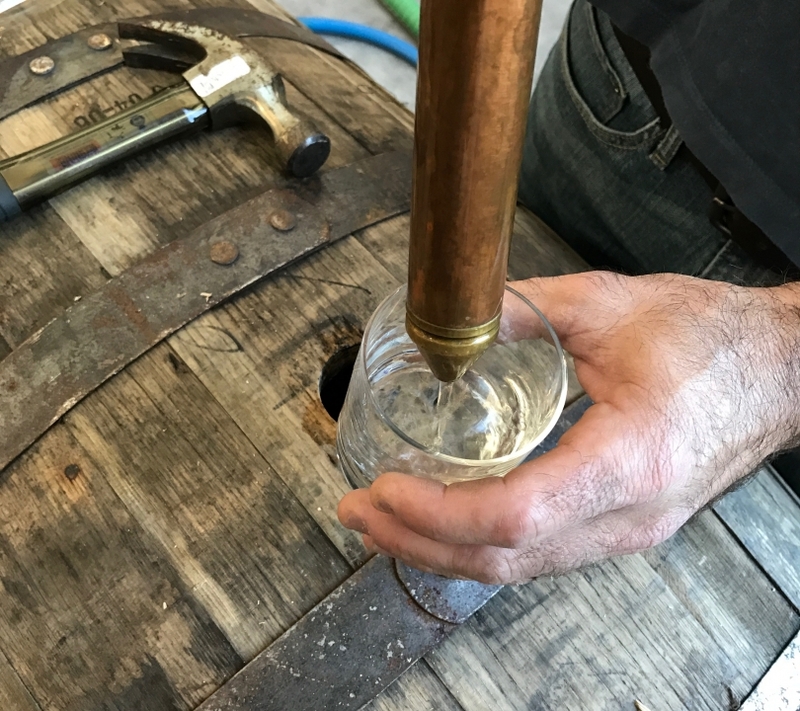 We found that the gin placed in the MWP barrel took on very little color over the period of 6 months but absorbed a tremendous amount of nuanced flavor. The light blonde color was deceiving because it contained a tremendous amount of depth which isn't usually associated with a lighter colored spirit. The newer, thrifty day spirit from the thirty gallon barrel took on enough color for both spirits as well as a concentrated amount of oak and vanillin. By blending these two spirits, we were able to create a very balanced and flavorful iteration of our Gin. This was a barrel sample from the 53 gallon Manifest Whiskey Project barrel at 60 days old. You'll notice how light the color was then and it didn't take on much more color at 6 months.